Gareth W. Rossen. hoto by Gareth W. Rossen, 1946. I am sending 17 pictures attached to this e-mail. 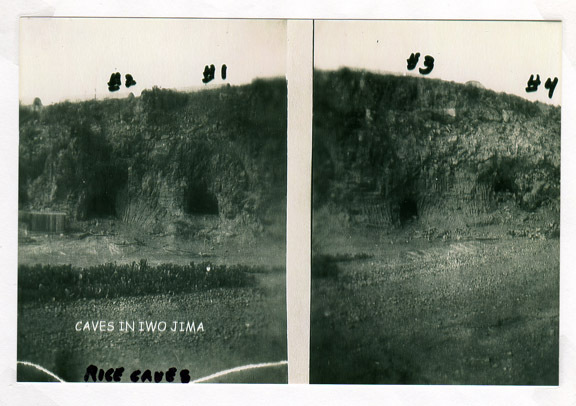 Four Rice Caves. Photo by Gareth W. Rossen, 1946. There are 4 caves sid by side. All were filled with rice. The caves were approximately 15 feet high, 12 feet wide and at least 70 feet deep. These caves are filled within 3 feet of the top. Rats of all sizes were everywhere. The rice was hauled away by trucks. We cleaned the caves, installed electrical lights along with an outside generator. This was to be our typhoon shelter. The first typhoon came in late 1946 or early 1947. Records should indicate. This cave is #1 on the pictures. This cave (no picture) is on the N. E. end of the island on the main road. The opening was approximately 15 feet from the road. The opening was only 5 feet high and 3 feet wide. After entering 10 feet there was a decline of 60 degrees for 20 feet which opened into a room. There were 20 boxes of Sake stacked along the wall (both clear and milk Sake). Most of the men took a bottle each. The room was HOT around 105 with a terrible smell. There were 5 or 6 Japanese soldiers, fully clothed, on the floor on the other end of the room. Their bodies were dried like leather. We didn't go down to the next level due to the stench and heat. The next cave (no pictures) was on the south side of the island. After the typhoon came the rains washed out where the Marines had sealed the caves. The opening were about 2 feet by 3 feet. We opened one of the caves all the way so we could get in. We went inside and found Japanese soldiers, fully clothed, some were wearing their bandages. There were dug outs along the walls of the caves. These were probably used for sleeping and hiding. Mt. 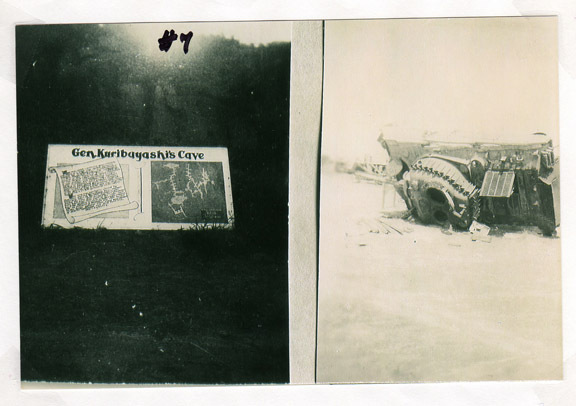 Suribachi and the General's Cave. Photo by Gareth W. Rossen, 1946. Sign for General Kuribayashi's Cave. 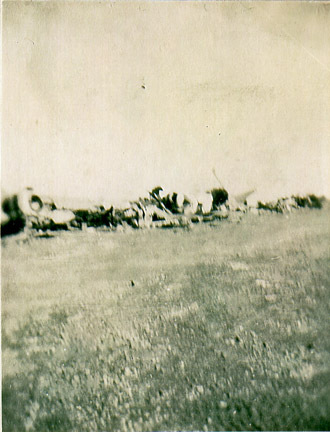 Additional photo is of a knocked out Sherman. Photo by Gareth W. Rossen, 1946. This is the Japanese General's cave (picture #7). It appears as a green oasis, 300 feet square with a few palm trees and coconut trees. There were very little vegetation on the island, making this cave area outstanding. There was a large sign by the entrance as shown in the picture. After entering through a hall of about 8 feet, in a high room, no furniture. There were other rooms leading off including a bathroom with a half sunken bathtub in the floor. You wanted more details. Details your get. The Generals Cave was not a bunker. I'll start at the beginning. I drove approximately 110 feet to the right of the Generals entrance. In the jeep with me were T5 Walker, T5 Willinghoff, and PFC Selby. Walker got out of the jeep first and hollered to me that I had just straddled a land mine. I got out and as he said I had just done that. I got back into the jeep and backed straight (young and stupid). I drove to the other side of the cave entrance and drove up the incline approximately 60 feet. There was a lot of brush on the right side. We then went to the cave opening. There was a sign saying " OFF LIMITS " approximately 15 feet in front of the opening. Once in the cave, as I said before there was a large room. Leading off was a smaller room with a small table and chairs, all busted up. There were Japanese documents there on the floor (maybe a dozen or so.) We did not take any paper with us. There was a small bath room with a tub half in the ground. There was an air shaft, 4 feet wide going straight up for about 8 feet. Then at a approximately 60 degree angle it goes up around 50 or 60 feet to the air opening. The opening had bars. A rope was tied to the bars and extended all the down to the floor. We climbed up and were able to see our jeep parked outside. We didn't notice the bars from the outside as we parked due to the brush that I mentioned earlier. (Sure glad it wasn't the MP jeep). You inquired about inside pictures of the caves. 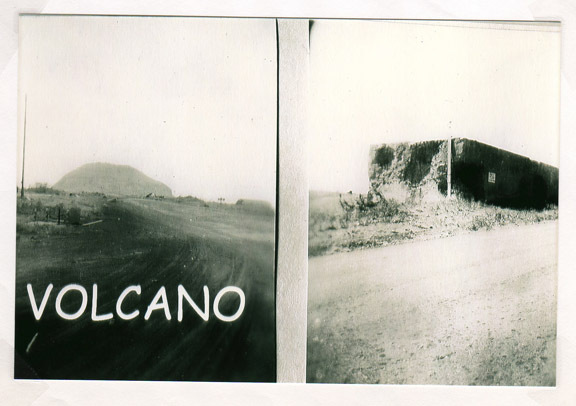 Having only a 620 box camera with no flash, no inside pictures. The only place we could develop our pictures was in a dark room in our company. All the supplies were by the Army Special Services Dept. 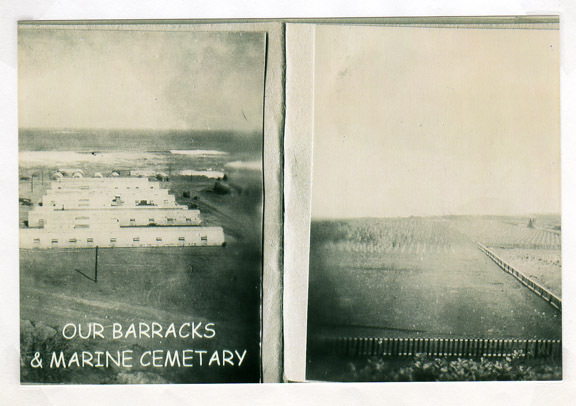 Barracks and the U. S. Marine Cemetery on Iwo Jima. Photo by Gareth W. Rossen, 1946. 1st. Lt. Max H. Booth, Ordinance 199th Depot & 3605th HAM Shop. Photo by Gareth W. Rossen, 1946. Mt. 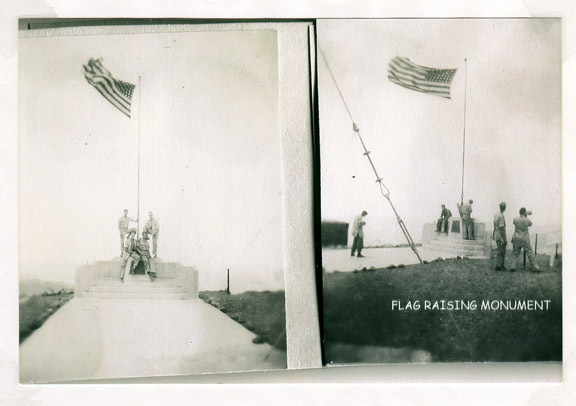 Suribachi Flag Raising Monument. Photo by Gareth W. Rossen, 1946. All the marine cemeteries were very kept up by the Quartermaster Co. I have a lot more details on these if needed. Thanks. As I said before we had no place to buy beer. It came in once a month on LST boats and they sent it to the part time PX that we had . You could buy it there by the case HOT only. If you knew some one in the Quartermaster you could take it down there and they would put it in their refrigerator but it cost you half of what you put in. I was glad that I didn't drink. We had an ammo area on the north side of the island high up on the beach. There were three buildings half in the sand there. In them were all kinds of ammo. There were a lot of cases of 45 cal for the 45 cal guns and the thompson machine guns. Also here were cases of hand grenades. 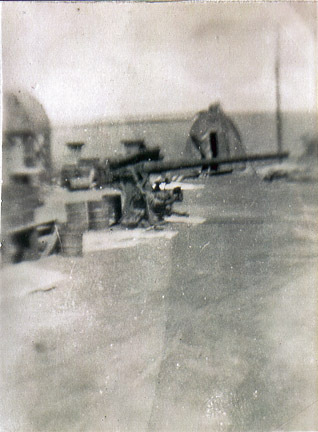 We would load the two and half ton truck up and go down to blue beach were we had made a firing area. We could do this as long as Lt. Booth was with us. He never wanted to come so he told me as lomg as I was with them it would be OK. We would use the 45 cal guns, machine guns and ths hand grenades. We were lucky no one was ever hurt BUT when we got to the company area all we could hear was nothing -- just their lips moving for a hour or so. Oh yes, the guns we had to go to the depot to get them. In April or May in 1947 an, order came out to send home all men with a test score of 60 or below to be discharged. We lost 7 or 8 men to that order. In June of 1947 they stopped all one months promotions in Hawaii, Guam, Saipan,Tinian and Iwo Jima. At that time you would have to have so much time in grade. I had already been promoted to S/ Sgt. This one is about a General Court Marshal of the man that ran the part time PX. His first name was Ray and he was from MO. The same as where I was from then. They sold all kinds of things other then soda, beer was sold HOT by the case. He keep very little records of sales. I think he must have had a lot of the money as he would stop by about every two weeks on his way to the P.O. across from our area. He went to the P.O. to by money orders to send home. I was from Mo. too and he liked to talk. To take down Court Marshal records they had a girl from Guam to take notes. What time she wasn't taking notes on the Court Marshal she was to help out in he P.O. (Post Office) where S/gt Wilks was in charge. There a good story about that, BUT I won't go into that. You know why. I don't know what happen in the balance of the Court Marshal. We had Wednesday and Saturday afternoons and all day Sundays off so we had a lot of free time. In the HAM shop we had a D7 and a big road grader which we use to level a race track (one fifth mile). We also had a big roller to use on the track. To have some thing to run on it we did the following. We took old junk jeeps and took the wheel, tires, body and seats all off. Now we had to start putting it back together again. We took the tires and wheels from junk jeep trailers. One of the men in the company would weld them onto the old drums (making SURE that they ran true). Then we went to where the old junk airplane were put at. We would get an airplane seat and a five gal. gas tank. We then put both of them on. Airplane graveyard, Iwo Jima. Photo by Gareth W. Rossen, 1946. 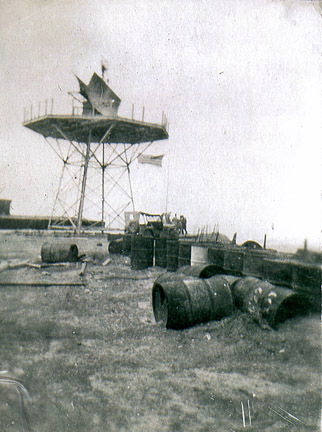 Radar Installation and artillery piece, Iwo Jima. Photo by Gareth W. Rossen, 1946. We had to adjust the stearing wheel and hook up a lot of other things. We used ONLY the standard gears (no low range). You could start it up and with the small tires and wheels you could throw dirt about 15 feet in the air ( a lot of RPM ). To do all this we had three men to a car. There were usally 3 or 4 cars running, a lot of dust. So this is where we would put in a lot of time. This track was on the south side of the island, there was a pill box close to this place. When a man was on orders to go home he would give his part of the car to another man that was staying. This is about a death and another General Court Marshal. Some time in late June I went into the hospital on Iwo with xxxxxxx . On the last day there around 8:00 PM S/Sgt. Wilks and two men from my company (one was a PFC Albright the other one is ????). I don't remender who. They had been drinking hot beer and were pretty well along. S/Sgt. Wilks was on shipping orders along with me to go home. They were having a good time. He said that they had been up to the CWS area had gotton some smoke xxxxxxx. They had taken them down to the HAM shop and threw them down were the xxxx were at (no ammo) just having fun they said. He knew that I was to out of the hospital in the morning and wanted me to come with them. I said NO! So they left. They went back to the CWS area to get some more smoke grenades but having to much to drink they got the wrong ones they had picked up white phosphorus grenades in place of smoke grenades When S/Sgt. Wilks pulled the pin he failed to get rid of it in time and it went all over him. PFC Albright got some on both his hands and a little on his stomach. The other man had a small spot on his forehead. S/Sgt. Wilks died about 30 minutes after they had gotten him into the hospital. PFC Albright was up for a General Court Marshal. Then I left before it really got started. The other man I don't know what they did to him. In the Iwo Jima area they were having a lot of trouble with the C46 airplanes. The one that I was on in the first part of 1947 I was going to Japan for 5 days R&R ( for the officers it was A&A). Well this plane was having motor trouble. When we got to Japan the plane was grounded (gas leaking). On the way back the C46 plane again was having motor trouble. We landed OK and was glad to get on the ground. Now this plane took off to Guam but crashed in the water close to the beach. There was a team of base ball players that were sent to Japan to play ball. 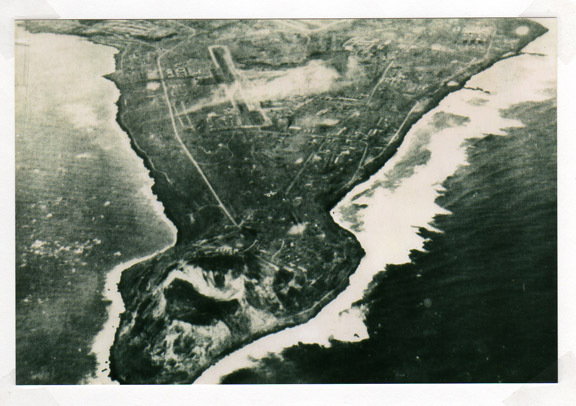 On the way back in a C46 airplane it over shot the air strip and crashed into the water about a mile off the coast of Iwo Jima. This was on the south east side of the island. There was a Capt. Queen, a warrant officer, 2 or 3 crew men and the whole baseball team. NO Survivors. 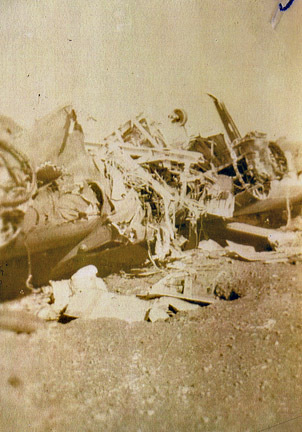 Also some time in early 1947 a larger plane (silver) crashed, the whole tail assembly came off. The plane crashed and they lost a lot of mail. This all should be a matter of record. Last of the notes. Caves that I have talked about. Some time in the first part of 1947 the Army sent a team of base ball players to Japan to play. They lost the games. 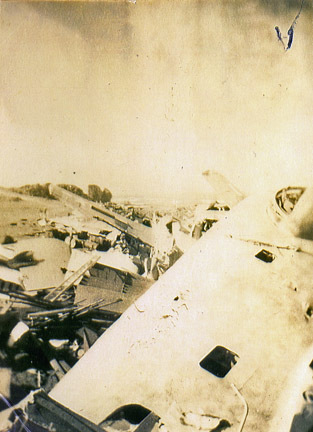 On the way back, the C46 plane it over shot the air field and crashed in the water approximately a half mile out. As I remember there were a Capt. Queen, a warrant officer and 3 enlisted men plus the baseball team in the plane. NO one got out! One more thing. The plane that went down with the ball team also had a nurse on it. After looking at by little note book closer I could see a N/??? after the ball team. (Not very clear notes- just like a 18 year old boy would do) On this plane...it was coming from Japan and would have landed on strip #3 using the north to south landing strip. Looking at the map of Iwo Jima you find that strip and draw a line down the center to the water and it will pass over our company, the Post Office and HQ & HQ Co. They say it landed 15 miles out ??????. Just after this, a few others and I left to go to Japan on R&R. ( For Officers that was changed to A&A.) The plane was having engine trouble on the way there. When we got there we found out the plane was grounded it had a bad gas leak. We had another C46 on the way back to Iwo Jima. It also had engine trouble but we landed OK. 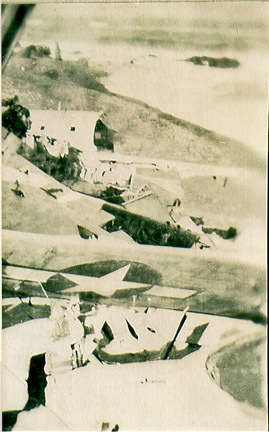 This plane went down on the coast of Guam, in the water close to the beach. I don't usually ask for help, but in this case I do need some. My best friend on Iwo Jima was a T/5 Cpl. John Willinghoff. Records that I had there showed when each man was to go home. 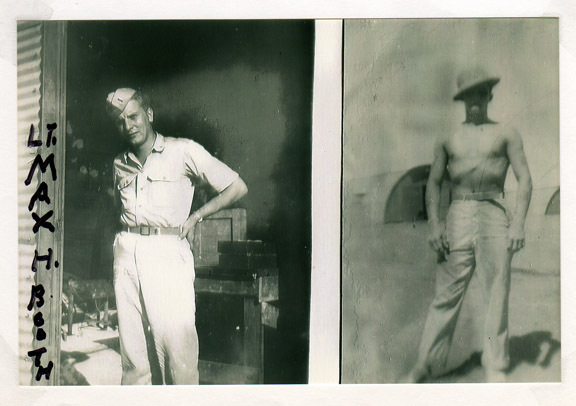 John was due to leave about 6 months after me.I was discharged on July 30, 1947. He was from Texas. He stopped at my home in Lebanon, Mo, looking for me some time in December of 1948. My mother told him that I had moved to Illinois for work. At that time he was working for an oil company in Texas or Oklahoma. I have been trying to find any thing about him for over a year. If anyone can help, I would appreciate it. If anyone can find any thing on him or his family, please let me know. The materials depicted on this page were reprinted with kind permission of the subject of our essay -- Gareth W. Rosson. 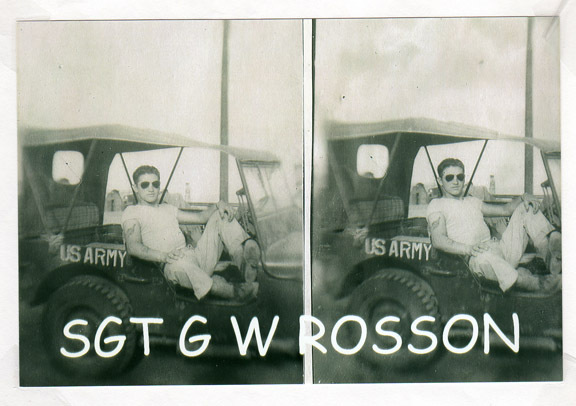 We, at the World War II Stories - In Their Own Words web site wish to offer to Mr. Gareth W. Rosson our most profound THANK YOU for his poignant story of his personal experiences -- during his tour of Iwo Jima and especially for allowing us to share those memories.